Expect a pleasant stay at Day Inn where comfort is the top priority. 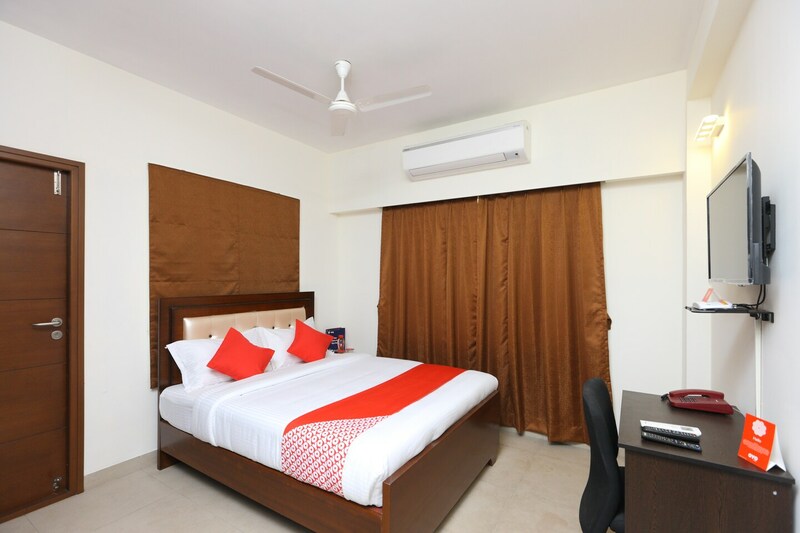 The rooms are well-furnished with modern furniture for relaxing stay of the guests. The wall decor is minimalist with artistic paintings adorning them. The seating and dining areas are also equipped with modern furniture and can be used by guests to relax and unwind. Power backup and CCTV cameras ensure the safety of the guests. Guests dont need to worry about their pending work as the hotel also provides with free Wi-Fi service to stay connected. Elevator and parking facility are also offered by the hotel for convenient stay of the guests.